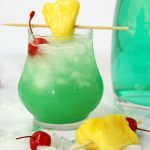 Green Hawaiian Cocktail – a beautiful and refreshing combination of vodka, coconut rum, blue curacao, pineapple juice and lemon-lime soda. It’s the perfect drink for summer! Do you have a favorite drink you look forward to enjoying on vacation. . .or maybe just on your own patio during the summer? 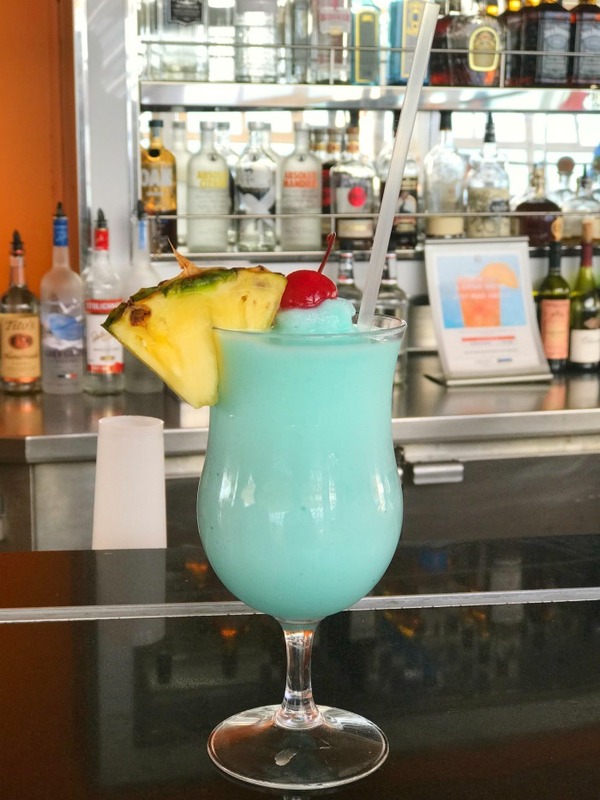 My absolute favorite is a Blue Hawaiian, and I always order mine with coconut rum to maximize the coconutty (is that a word?) flavor. My husband, Josh, and I went on a cruise this past February and I certainly drank my fair share of these beauties. 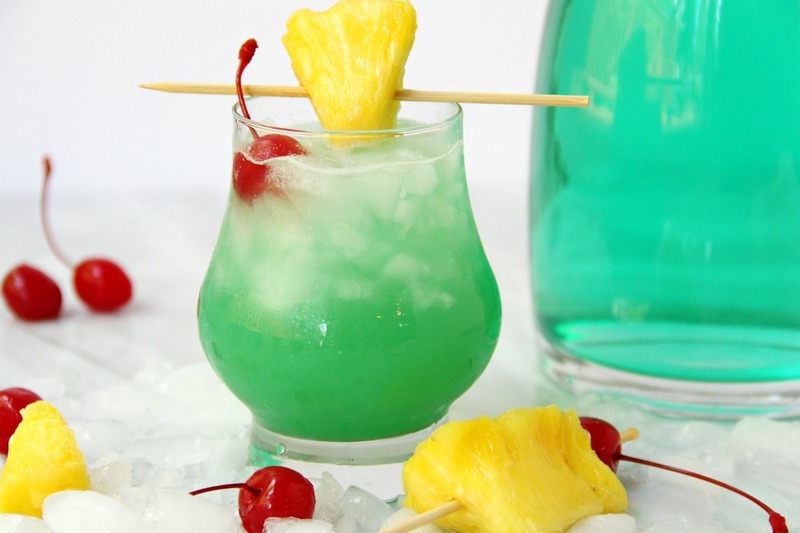 Well, today, we’re not making a Blue Hawaiian, we’re making a GREEN Hawaiian! 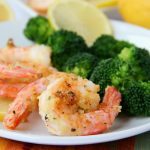 What’s the Difference Between a Blue and Green Hawaiian? 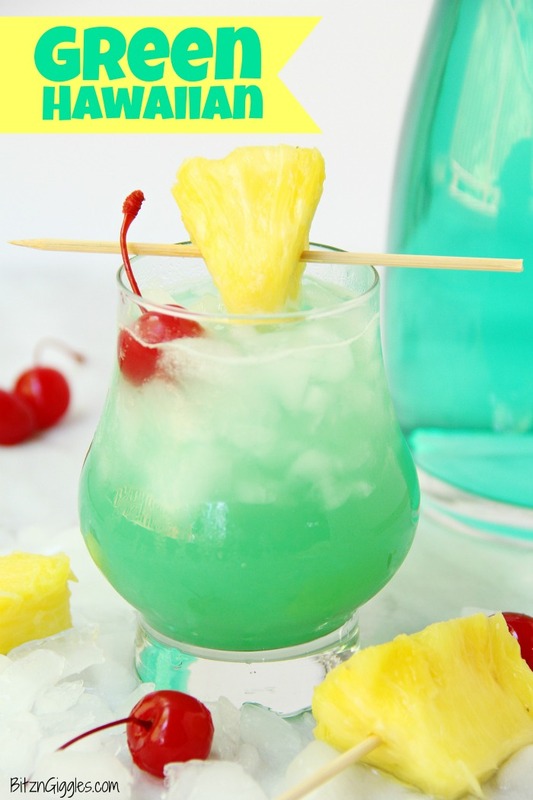 While the ingredient list is somewhat similar to the Blue Hawaiian, the Green Hawaiian incorporates vodka and lemon-lime soda in addition to the coconut rum, blue curacao and pineapple juice normally found in a Blue Hawaiian. And just for the record, the Green Hawaiian does not have any cream of coconut in it. In my opinion, the Green Hawaiian is a bit less sweet than the Blue Hawaiian, but is just as refreshing! So, now that you know the difference between the two, it’s time to start mixing. I normally don’t use a cocktail shaker for this drink, but you could use one for the first step if you would like. 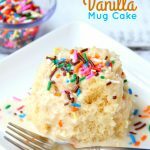 You could also make this into a frozen drink by blending all of the ingredients in step 1 with some ice and then topping with the lemon-lime soda. Personally, I think the Green Hawaiian tastes best over ice, but let me know if you try the frozen, blended version. Finish the drink off with some fresh pineapple and a maraschino cherry, then sit back, relax and sip slowly. ? Ready for more summer sippin’? A beautiful and refreshing combination of vodka, coconut rum, blue curacao, pineapple juice and lemon-lime soda. It’s the perfect drink for summer! 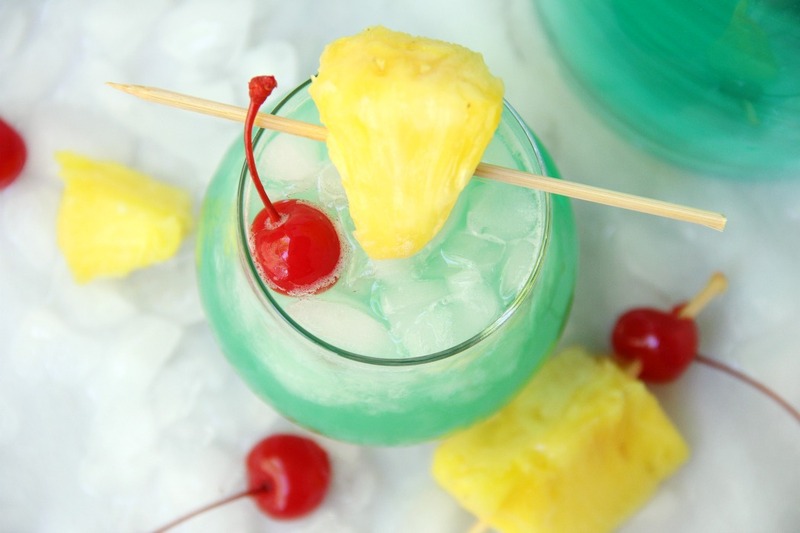 Combine rum, vodka, blue curacao and pineapple juice into a glass filled with crushed ice and stir. Garnish with fresh pineapple and a maraschino cherry. 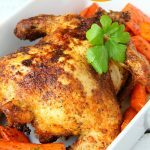 This cocktail is so refreshing! Love it!! 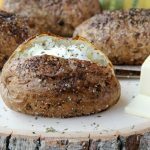 Yum; this looks fantastic! I love the idea of the frozen version. Yes! So refreshing for the summer!